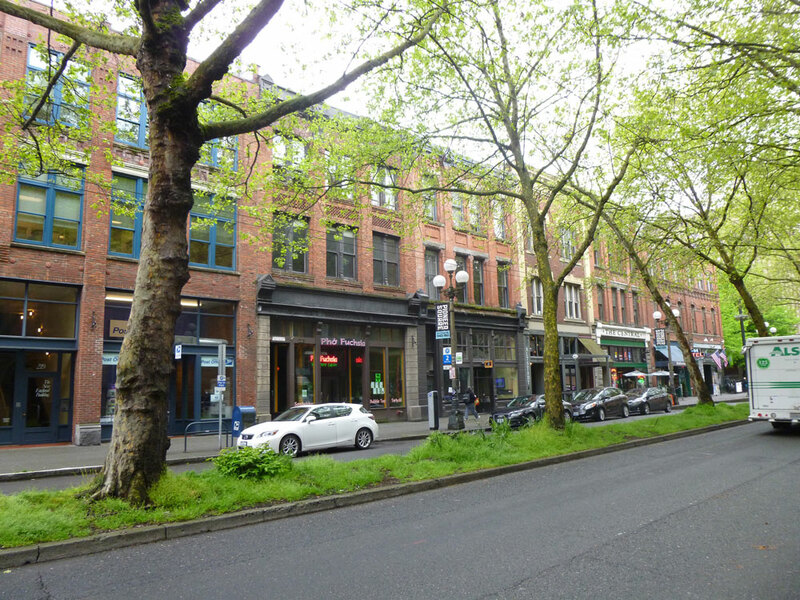 In early May, Chris Carrigan travelled to Seattle, Washington for CNU25, the Congress for the New Urbanism’s (CNU) annual event, focused on building better places. 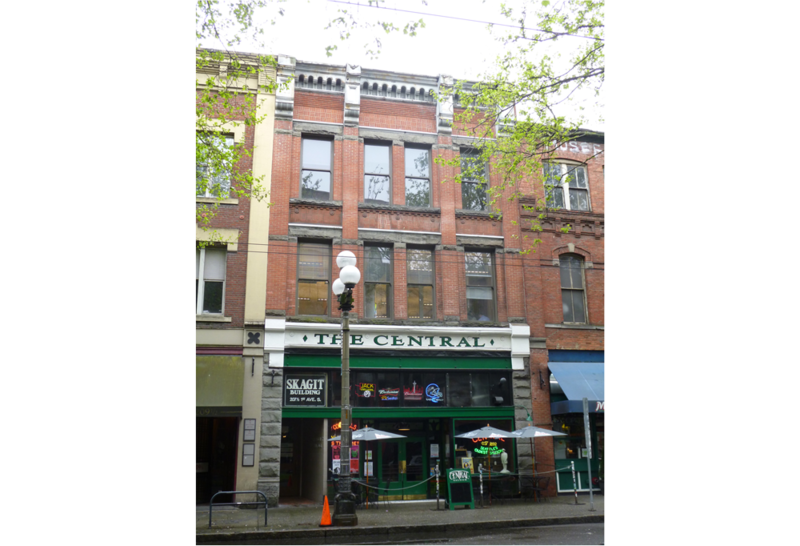 One of the great benefits of attending a Congress is the opportunity to explore the host city, which changes annually, so Chris headed south from the CNU venue in downtown Seattle to the historic neighborhood of Pioneer Square. 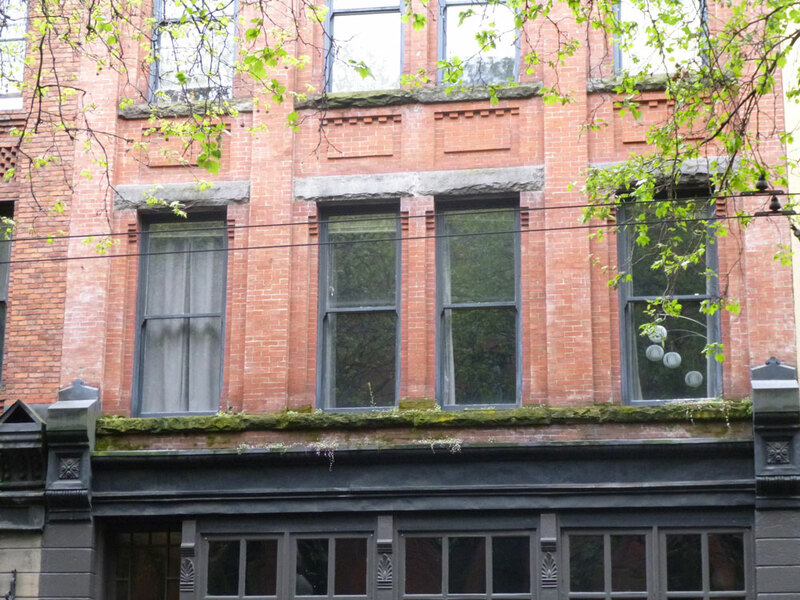 Pioneer Square is the historic heart of Seattle. The late 19th century brick and stone buildings were built upon the remains of wooden structures destroyed by fire in 1889. Around this time, Romanesque Revival architecture inspired by H. H. Richardson was prevalent. It is characterized by rough cut stone, semi-circular arches, and deep recessed windows in substantial masonry walls. The craftsmanship employed by the mason is evident in the intricate details and corbelling used at the windows, cornices, and parapets, creating a wonderful dynamic between the strength of the masonry walls and the delicate details. 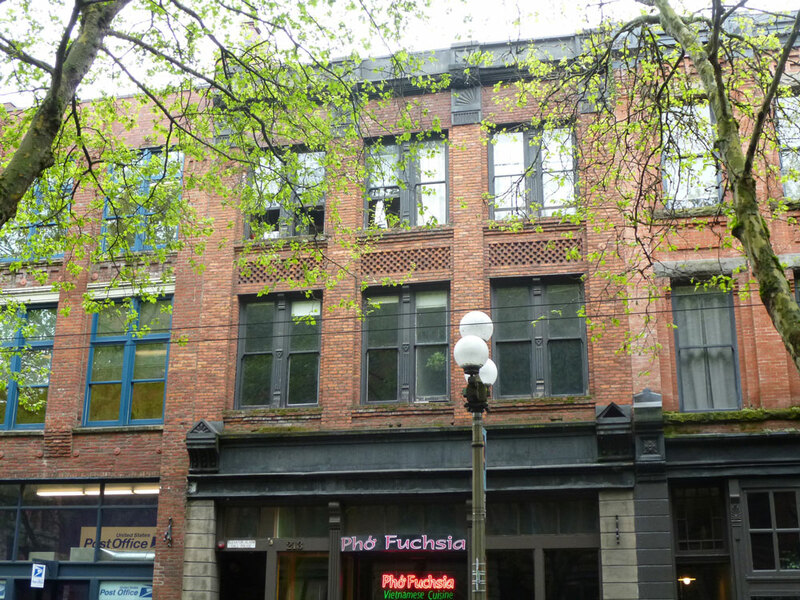 This 30’ wide mixed-use building with a great upper story window rhythm caught Chris’s eye. Each double hung window has a vertical proportion of 1:2.5. A closer look reveals rough stone lintels supporting a brick spandrel in a basket weave pattern. The rugged stone impost supporting the ends of the lintels on either side of the window is a nice touch. Craggy stone sills are supported by one course of running bond corbeled brick above a single alternating header course creating the look of brackets and a wonderful sense of depth. 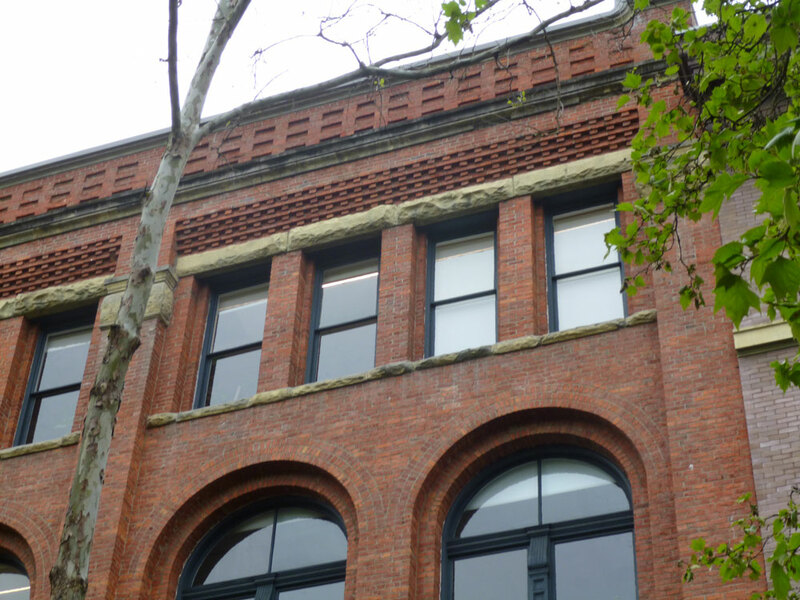 As seen along the block, the simple form of these buildings is given character through a range of window details and brickwork executed skillfully by the mason, as shown in the two photos above. 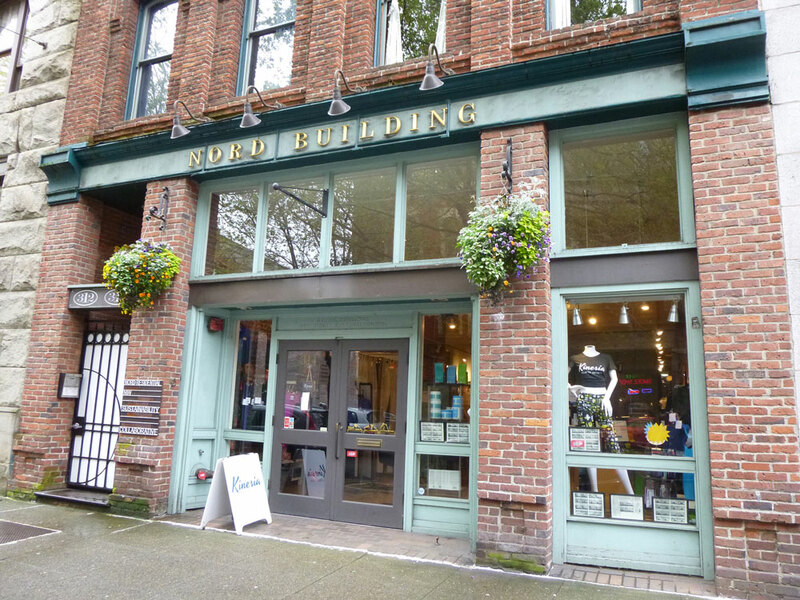 This example showcases many of the tenets of great storefront design described by Steve Mouzon of the Original Green. The recessed storefront entry provides cover and relief from the doors swinging out into the sidewalk. A separate entrance for the residences or offices above is easily identifiable, but does not detract from the focus on the store. Looking up, Chris discovered fully structural arches detailed with several layers of brickwork. The 30’ wide building provides room for four generous window bays. 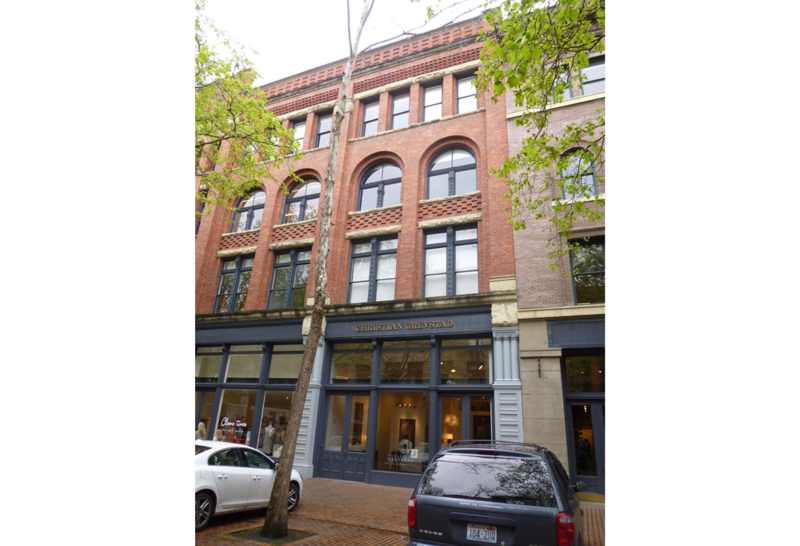 Here, Chris spied a two-bay window pattern over a simple storefront in a narrow 25’ segment of a larger building. The detailing of the pilasters separating the bays is another example of the dynamic play between the heavy masonry and its ornament. The corbelling and panels of the parapet shown here are yet another example of a mason’s artisanship. Around the same time that Seattle rebuilt from the fire, Louis Sullivan was designing great works in Illinois inspired by the architecture of H. H. Richardson, utilizing terra cotta, which is lighter than stone. 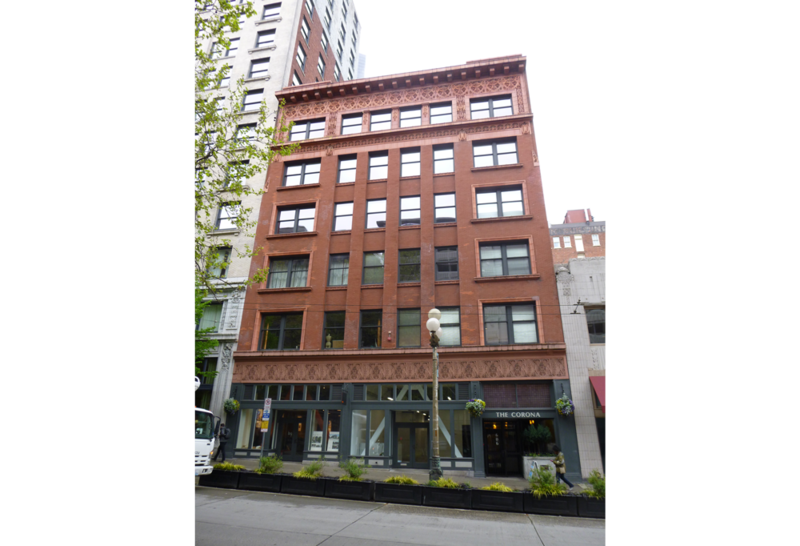 Charles Bebb, a disciple of Louis Sullivan and expert terra cotta construction engineer, later brought the Sullivanesque inspired ornament that punctuates simple plain surfaces to Seattle, where he designed the Corona Building on 2nd Avenue. 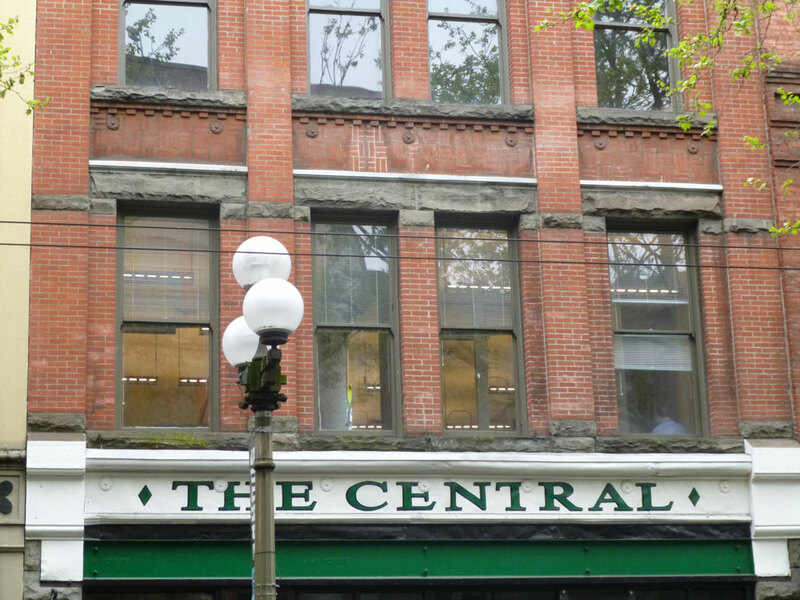 The middle four-stories of the Corona Building have very simple detailing. The ornamented terra cotta sills are the only point of emphasis in the thick masonry veneer which recalls the Romanesque aesthetic. While the dense masonry walls allow for some incredible detailing, it comes at a cost in today’s more practical world. 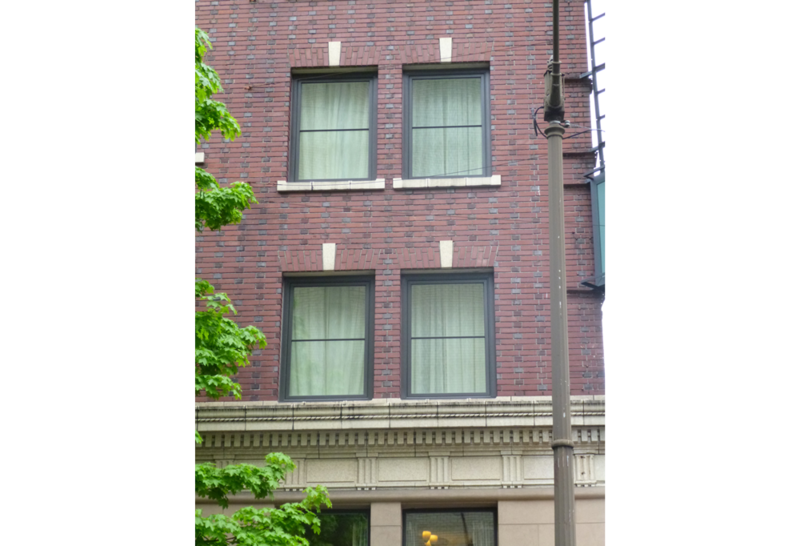 However, some of the details are still easily created on a typical main street building, albeit not to the extent shown in this example. Here we see windows in Flemish bond brickwork with simple cut brick jack arches, stone keystones, and stone sills extending beyond the masonry opening. 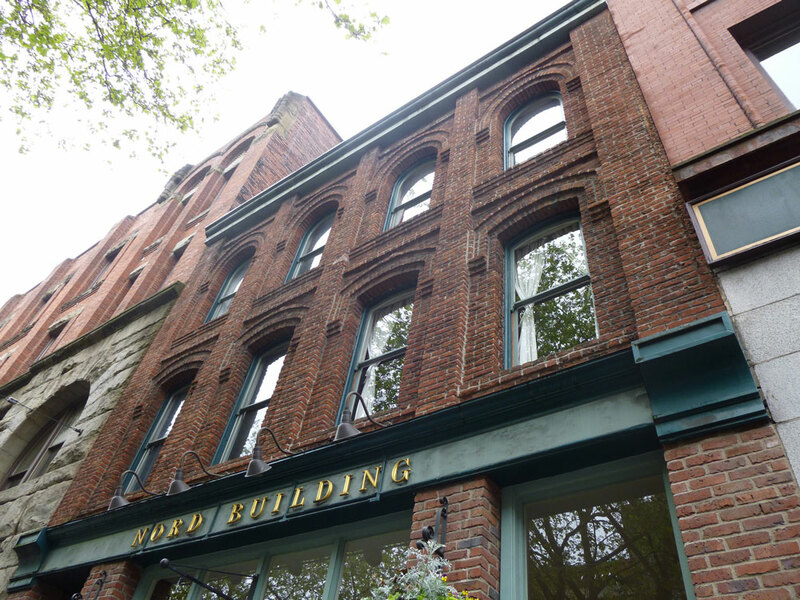 As evidenced by these Pioneer Square buildings that Chris found inspiring, getting the simple punched opening details right can lead to an elegant façade.